Good health means a happier horse that is more capable of being whatever it needs to be … a better producer, a better performer, or just an all-around better horse. But the demands of training, traveling, and performance – as well as drawbacks of modern horse care practices – all work against good digestive health in horses. 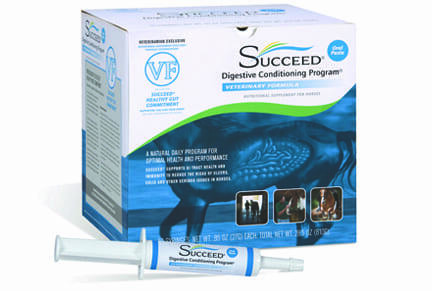 SUCCEED Digestive Conditioning Program, SUCCEED Veterinary Formula, and the SUCCEED Healthy Gut Commitment are backed by years of research, science, multiple patents and our commitment to you and your horses. 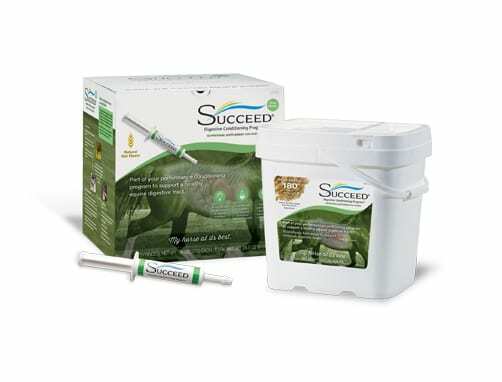 The original SUCCEED® formula supports horses’ natural digestive health and immunity to promote total wellness. It also helps the GI tract digest nutrients and get energy from feed and other supplements for a healthy appetite, weight, stamina, and ability to recover more quickly from exercise. 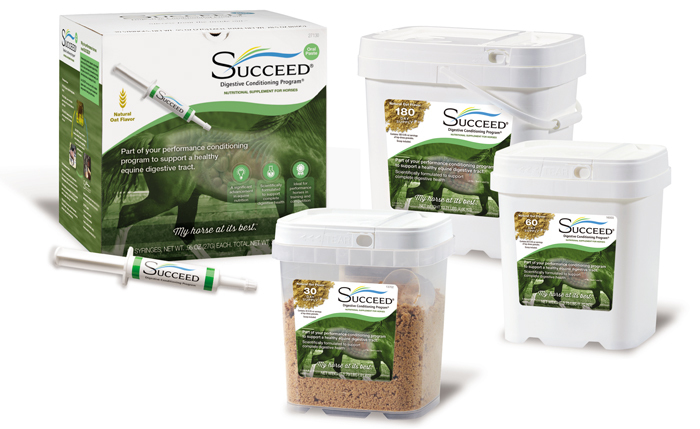 Original SUCCEED is available through select tack and feed stores, online equestrian retailers, and veterinarians. Or, if you are using SUCCEED for the first time, take the SUCCEED Challenge to try it risk free for 60 days, with a money-back guarantee if you don’t see results (US residents only). SUCCEED Veterinary Formula, available only from veterinarians, offers the benefits of original SUCCEED, plus additional amino acids to support mucus production and healthy GI tract muscle tissue. Available exclusively through your veterinarian, it offers superior support for your horse’s healthy digestive tract. 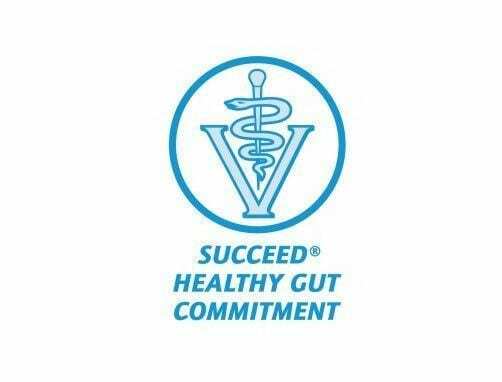 SUCCEED Veterinary Formula is sold through veterinarians to US residents and comes backed by the SUCCEED Healthy Gut Commitment. The SUCCEED Healthy Gut Commitment is a special program that ensures you and your veterinarian are covered if SUCCEED Veterinary Formula doesn’t live up to its promise to provide superior digestive health support. 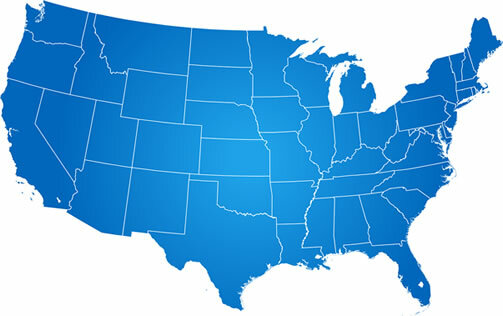 Available with SUCCEED Veterinary Formula only to US residents. Try SUCCEED for 60 days. Get results, or get your money back.